A humble tribute to Prof. D. S. Habbu, the chosen instrument of the divine for a number of missions, the most significant of them being spearheading the moulding of young minds of the Sri Sathya Sai Higher Secondary School during its fledging years. “I have brought the best principal to the Higher Secondary School,” Bhagavan said, nay declared, as He lovingly held the arm of Prof. D. S. Habbu and introduced him to the dignitaries seated in the Prasanthi Nilayam Mandir. 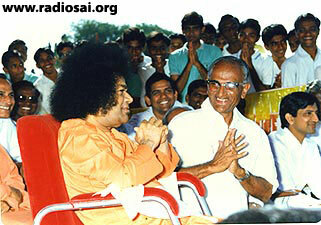 It was the initial months of 1983, the first year of Sri Sathya Sai Higher Secondary School. For many, who were witness to this episode, it was another beautiful evening with the Lord; but for the bespectacled and humble professor, it was a bolt from the blue. He did not know how to react, but to bend down with folded hands, and express how beholden he was to the Lord for granting him such a precious opportunity to play a part in His mission. 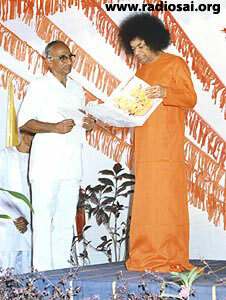 And today, 26 years after Swami unfurled this school which has become one of the best in the country offering high quality, secondary school education completely free of cost, the alumni of this esteemed institution find it hard to articulate their heartfelt feelings for their very dear and revered Principal. For Mr. Partish Kumar Dubey, who completed his XII grade in the school in 1990 and is currently an Asset Manager with Barclays Capital, London, “Habbu Sir was a man of principles who taught us values by His own example. What a fine personality he was! His life had a fine balance between the inner world of self-discovery and outer world of achievement. That is how many of the former students of Sri Sathya Sai Higher Secondary School, Prasanthi Nilayam, love their first principal. 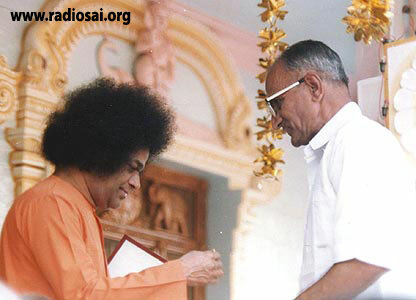 If there is one virtue of Prof. Habbu, which was like a formidable foundation on which was built the solid mansion of his sterling character, it was his absolute dedication to Swami’s word and mission. It is little surprise that Swami picked such a personality to oversee the blossoming of the characters of the children of His own school. 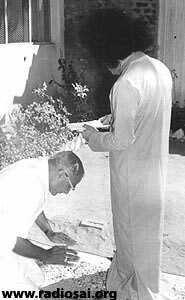 In fact, the Lord, after choosing to reward him a place at His lotus feet in 1973, lovingly guided and chiseled him for nine years before assigning him the prized responsibility of spearheading a part of His education mission. “It was in 1965 that someone told me about Bhagavan and placed in my hand one of His photos,” Prof. Habbu said recalling the initial days of his journey to Sai. “I saw the picture and immediately developed 100% faith in Him; something within me strongly said that He was divine. I never had a doubt since then. 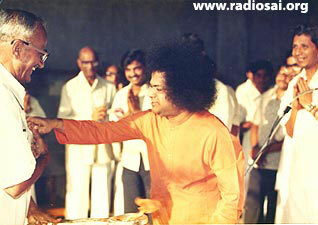 That photo of Bhagavan straight away adorned our altar and we worshipped Him everyday. In those days, I was working in SDL College in Hannavar, in the state of Karnataka, as a Reader in History. And every minute of my spare time was spent in Sai work. It was this first encounter which intensified his love for Bhagavan and the dedicated professor now longed to be in His physical presence as often as he could. 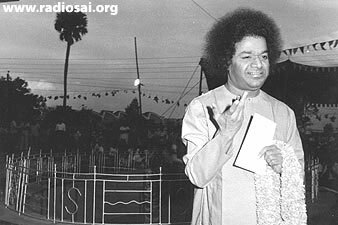 It was at this time that he heard of a vacancy in the Department of History in the Sri Sathya Sai Arts, Science and Commerce College, Brindavan (when the Sri Sathya Sai University opened in 1981, this college became one of its campuses). Fortunately, the then Vice Principal of this college, Mr. R. J. Kulkarni was known to him, and suggested to Prof. Habbu that he could apply to Swami’s college. 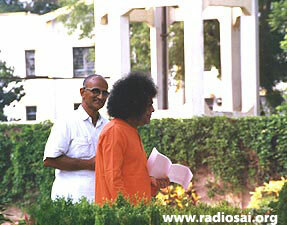 Without any delay, Prof. Habbu wrote a letter to Swami praying for an opportunity to serve in His institution. Just like the first letter, the Lord accepted this one too very lovingly from his hands. Emboldened by this, once the professors returned home, he sent his application letter to the college. Soon, he received a positive response and was called for an interview.